Go-Pods - Practical & Fun! 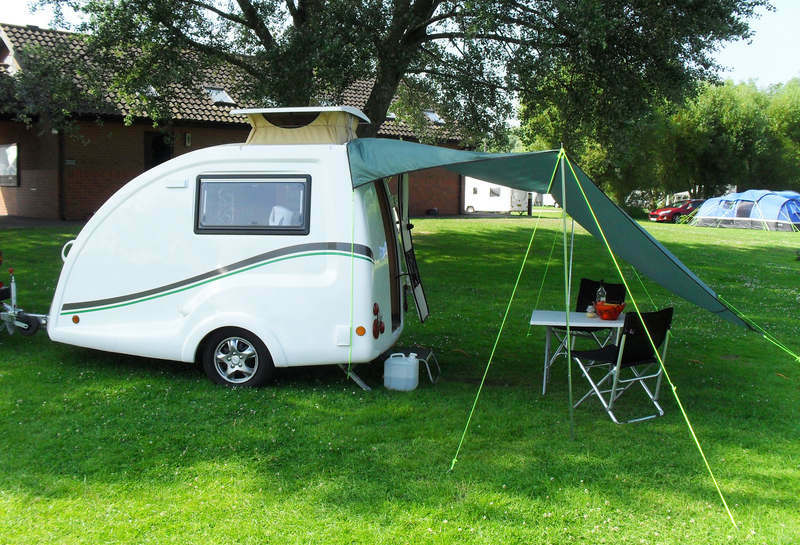 Before Go-Pods, when it came to touring, you’d be faced with a decision regarding size… either a full size caravan or a teardrop caravan would be your choices. 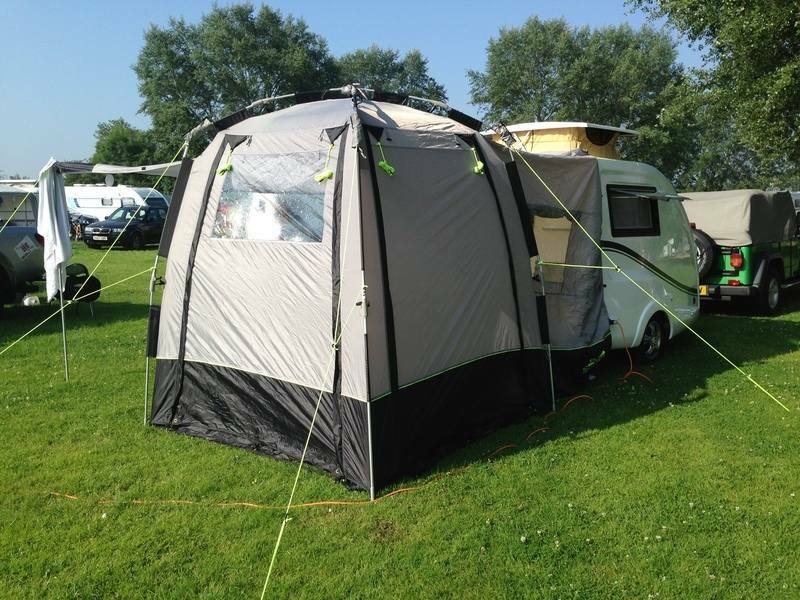 Go-Pods are classed as ‘micro tourers’ and neatly fill that gap for people who don’t want the bother of a full size trailer but prefer more convenience than a teardrop caravan offers with it’s external kitchen. Other advantages of the Go-Pod’s size include being able to get to some great locations that would normally be inaccessible to bigger rigs. And of course ease of maneuverability is a major benefit. An attribute that some of our more senior customers and single Podders appreciate, by reducing the strain without losing the comforts & convenience. What’s more, you no longer need a large car to go touring - because Go-Pods are designed to be light, so they can even be towed by today’s smallest cars like the Fiat 500. So just check your car's manual for it's towing specs. Additionally, storage issues shrink away too as Go-Pods fit into many normal size garages and modest front gardens, being just a touch over 4m in length. Go-Pods are aerodynamic as well as light-weight and this helps fuel consumption. While the wide wheelbase adds stability & increases interior space. 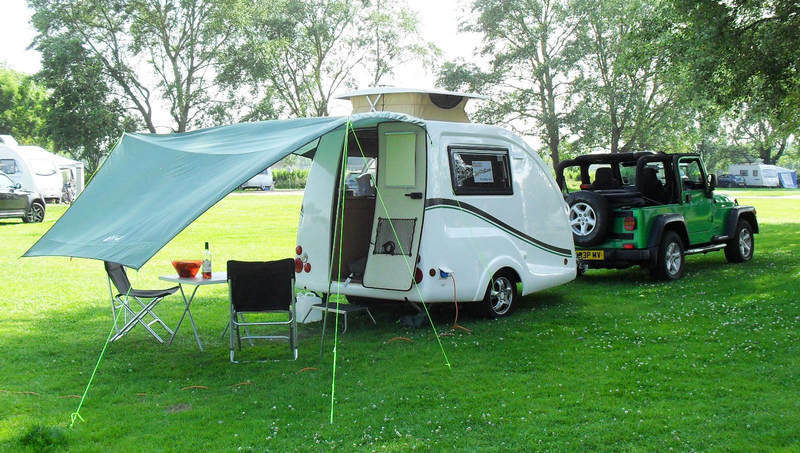 You'll need no additional stabilisers for towing, nor wing mirror extentions and the Al-Ko braked trailer keeps everything nicely under control when slowing. Go-Pods are more than just practical though - they look great too!